College Football - UTAH STATE @ WISCONSIN: You want to bet on a team that is like a Ford Pickup: Built Ford TOUGH!!! UTAH STATE @ WISCONSIN: You want to bet on a team that is like a Ford Pickup: Built Ford TOUGH!!! Author: [College Football] Topic: UTAH STATE @ WISCONSIN: You want to bet on a team that is like a Ford Pickup: Built Ford TOUGH!!! When you take a team from a low-level conference to play one of the premier teams in college football, you want one word to embody that team: Tough. You want them to be tougher than a the $2 sirloin special at Beefsteak Charlies. You want them to be so tough, you could fork the steak off your plate, rest it on your shoulder and play it like a Stradavarius violin. You want them to be so tough, that when John Candy goes to eat that steak in the Great Outdoors, you make him eat the gristle...leaving him face down on his plate at the end of it all. He finished you off, but just barely. Well I have that tough $2 steak team right here for you: Utah State. We won't win because we're on the road playing the Badgers. But we get a whopper of a spread (29) and enough guts and grit to get us inside this number. Let's talk about why we will cover. Now sharps know Utah State so it's not like I'm revealing an incredible secret team here. How do we know sharps like them? Well it goes back to a post I made last year when I questioned a line with the thread title "Why is Wyoming only 6 point favorites over Utah State in Laramie?" Now we all know how tough it is to play in Laramie. Just ask Boise State and SDSU. But on top of that, Wyoming was having one it's best seasons ever. Utah State conversely was mired in one of its worst and would miss a bowl completely. But despite all that, that line opened at -6 and closed at -4 Wyoming! That is SHARP money folks. There is no way around it. It is a smaller more obscure conference and Sharps were trusting that Utah State would turn it around on a bigger stage (and Wyoming would come crashing down to earth). Now that game didn't work out too well for the Sharps: Wyoming won 52-28. But that line screamed Sharp money. Even the week before that, Utah State was only a 5 point dog at home to the might SDSU. They got crushed 40-13. But last season was an aberration. In the end Utah State is a sharp, more unknown buy. Over the long term that is a good side to be on. A profitable side. A sharp side. We get that here. With Wisconsin, you'll alway be buying High on a line (Bad...you want to SELL high). They are one of the most public teams in all of college football. With Utah State in 2017, getting over 4 TD's, you are Buying LOW. Why? The STAIN of last year's 3-9 debacle is rearing its ugly head in this spread. That is a GOOD thing. Because Utah State is much better than that. How do we know? Phil Steele has a nice little "Stock Market Index" indicator formula for us to use. Take the average total wins from the 2 years prior to last year (2014 - 9 and 2015 - 6) and subtract 2016's total wins (3). That equals +4.5. Of 143 teams since 1990 that had a +4.5 "Stock Market Index" indicator, 108 improved the following year. That is a whopping 80.4% of the teams or 4 of 5 teams improve the next year. No, that doesn't cover the spread for us. No, that doesn't prevent a blowout on the road against a top tier team. What it does do is say Utah State WILL almost certainly be better (or has a great chance to) and that means this 29 is OVERVALUING the terrible year last year by giving out such a number and UNDERVALUING the team on the field this year, which will improve. This puts us in a good spot ATS with such number (and it's a big one). 3. Historically, this team does not lay down to the big name programs. When you see teams, year after year, performing well in certain areas, even with all the turnover, if the same coach exists throughout, it promotes a culture for the program that continues into the future. This is a good thing. This is what happens at Utah State. We get the same coach here: Matt Wells (5th Year). It's like Appalachian State. We know they'll be a tough FCS out against the FBS team that scheduled them. The same applies to low level FBS teams like Utah State. Utah (ranked #24 at the time) - Covered +12 in a 24-14 loss. BYU (ranked #18 at the team) - Won SU as +20 point DOGS 35-20. Utah - Won SU 27-20 as +6 pt dogs. In summation, this team may get fed to the big sharks but they go down fighting, particularly as dogs with both big and small lines. 4. Spreads like this don't come around often for Utah State. When there is a Halley's Comet spread, you typically have to grab it. This spread isn't that extreme but you have to go all the way back to Week 1 of 2011 against Auburn where they were 24 pt dogs to Auburn to find a number this big (they covered 42-38 in a loss). To actually surpass a number this big you have to go back to 2010 where they were getting 38.5 @ Boise State and 34 @ Oklahoma. They covered both numbers (and the Sooners barely escaped them). Summation: This is a boatload of points against a team culturally not intimidated by big programs in a bounce back year. Take Utah State. 5. This is a proud little program with higher expectations than most. Utah State went to FIVE straight bowl games before last year. That is ENORMOUS for a program like this, matching their school record from 1971 to 1975. They'll want to improve drastically this year and showing some fortitude against Wisconsin is a great start. And fortitude is all we need with a number like this. Plus Matt Wells is on the hot seat after a 3 win year. GOOD. Add the pressure because with that comes guaranteed preparation. They were 4-13 in their last 17 but 7 of the 17 losses were by 7 or less, with 4 4th quarter leads blown. 7. Utah State on the field. Let's get to the actual blades of grass and the cleats that stick in them and what we are betting on. Kent Myers at QB returns. That's good. We get experience and familiarity. He's not a world beater but he's not chopped liver completing 58.4% of his passes for 2,389 and 10 TD's. Tonny Lindsey Jr., their starting RB is back as well. Good. He average 5.2 YPC. 3 of the top 4 wide receivers return. Good. They allowed 29.3 PPG but in the Mountain West, that's not bad. Eight starters return on D that allowed 379 ypg and their ENTIRE secondary returns (wonderful). 20 players made their first start last year. That's a bitter pill to swallow but that experience is there to build on this year. This team prides itself on D (2015 ppg allowed - 26.7, 2014 ppg allowed - 19.7, 2013 ppg allowed - 17.1, 2012 ppg allowed 15.4) under Wells and I predict they'll have a bounce back year in this category as well. All signs point to it after last year's meltdown. And when getting 29, you can't ask for much more. Wisconsin has a major loss...at RB. Corey Clement (1375 yds) is gone. As is his backup in Dare Ogunbowle (506). That puts far more pressure on Hornibrook who returns and can be shaky at times, especially in a game where nothing but a blowout is mandatory. While this unit was fourth in the nation allowing 15.6 ppg here, they only have 6 returning starters, they get a new defensive coordinator in Jim Leonard which is a bit of the roll of the dice to trust he will keep their dominance at nation-leading highs. Yes, the scare here is the Utah State will not score and 29 is covered at the half. But Utah State has a better D, pieces on Offense, and comes in against a team that will have some question marks scoring themselves. 10 points forces Wisky to score 40 to cover. That's pretty good against Hornibrook and a tougher than most D from a small conference. Oh yes, I know some here will say this pick lost 'value' because the line opened at +33.5. Again, who do you think drove that line down so early (sharps)? I capped this at 29 on its own merits. And if you read this 6 weeks from now at a different spread, you should cap it on THAT SPREAD's merits. That is what capping is. These lines are always fluctuating and today's line is YOUR line that you have to deal with. Don't worry about yesterday's line. Cap this line you see because it is all you have. I am leaning UT ST as well.......They have bigger losses than Cory Clement ......They lose NFL 1st round LT Ryan Ramczyk....They lose NFL 1st RD pick LB TJ Watt.......They also lose LB Vince Biegel to the NFL as well as their best 2 DB's in Musso and Shelton....They lose a lot on "D" and wont be nearly as good there........They also nearly lost to Georgia ST last year who were a 34pt dogs......WI still a very good team but I think they struggle to cover large spreads this season as they will not be a dominant on offense and lose 4 key guys on "D" 29 is too many here and UTST should cover. Wisconsin has a history of blasting the doors off these lesser MWC squads in week 1. Wow. Disagree completely. You're projecting less than 3 wins (as 'worse'would be even worse than last year's win total)? Forget this bet. I assume you'll be playing the Utah State team win total way Under to make a killing. "Great" players from college teams come and go all the time. And Utah State has a history of NOT only not getting their doors blown off but covering and sometimes winning outright against top-flight teams! You have to realize something, even if everything you said were true (I don't believe it is) you would still have to cover nearly THIRTY points of spread, while I'm taking that. And there's not enough in your statements to justify that. Line is down to Utah State +27 now from +29 at OP. word, homie. this is exactly what I discovered in my research as well. Also, Utah State d-line isn't going to be able to stop anything Wisky does. Understood. All rational. I've bet accordingly in amounts based on how I ranked these plays. SCAL, looking forward to seeing how this one unfolds. I think you got a better shot at covering this (maybe even a back door cover) than the Rutgers game. But we'll see. I'll be back here later. See you then, son..
hey, look who it is, it's sweet hard hat guy. How you been, man? you just get off the construction site, and puttin some plays for today? Utah St is terrible...This isn't Anderson's scrappy teams.Wisky is gonna crush Utah St.OVER & Wisky..Man,i don't think I got more mad about a loss than that Arky's loss to Mizzou ..Man,I loved and was already pounding it before your write up.We had it the game was over.It was one of those easy big win as ...then there was the 2nd half . Arkansas didn't even show up and man I pounded them.Mizzou came out like world beaters.Both teams played did a 180.I just can't take anyone 100? serious that would wager half their BR on the Suns vs Blazers 1st game of the NBA season....just busting your balls mate. 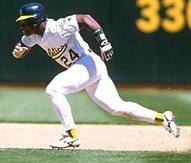 Feel better about Plays, when Rickey is on opposite side. i didnt even finish reading i was so souped up,i went to bet it before the line went down! +29,sound's fine..